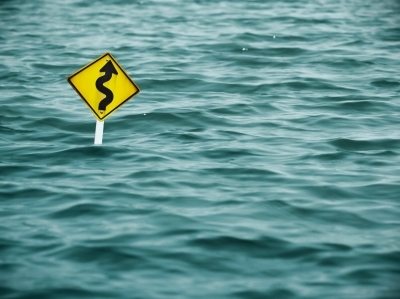 What is possible in a crisis? How do we handle a crisis? Alan Hilburg says that crises are opportunities, and we should enjoy them as they are learning experiences like non other. They teach us about trust, values and communication. Telana asks Alan what he has learnt from helping big corporate organisations deal with their disasters, that we can apply in our personal lives and relationships with loved ones. 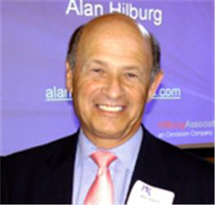 Alan Hilburg, President and CEO of Hilburg Associates, is a widely recognized as a world class problem-solver in brand survival and reputational endurance. He is a confidant and advisor to a range of senior luminaries around the world including country presidents, university chancellors, CEOs, leading entrepreneurs, sports and entertainment celebrities and religious leaders. Alan is credited for creating and managing three of the top ten brand campaigns of the 20th century including, Wendy’s “Where’s the Beef?“; GE’s “Bring Good Things to Life“; and creating the AT&T Olympic Torch Run. Additionally, he led the brand strategy and marketing teams for Johnson Wax, Gillette, National Geographic, the National Basketball Association, Four Season Hotels, Micron, H-P and numerous other global brands. As a pioneer in crisis resolution and brand protection he led the Johnson & Johnson team in the textbook management of the Tylenol crisis. He has advised on most of the critical crises of the past 30 years. He has co-authored two New York Times best sellers on leadership including “Russell Rules…Eleven Lessons on Leadership from the Greatest Winner of the Twentieth Century,” and W.F. Rockwell, Jr.’s bestseller, “Twelve Hats of a Corporate President.” As a thought-leader, his OP-ED pieces have appeared in the New York Times, Wall Street Journal, Boston Globe, Los Angeles Times, Washington Post and Financial Times. Alan has won an Academy Award nomination for Living Planet, the U.S.’s first environmental film and the second IMAX movie made. He has also won five Emmy’s for tv productions. In collaboration with Fortune magazine, Alan created the Business Hall of Fame and co-developed the America’s Most Admired Companies program. He has offices in the U.S., Europe and South Africa. I need to book Alan Hilburg for a session at our company. How do I contact him because the contact number provided on this website is not going through.